54mm Steel Flat Burrs - Hardened steel flat burrs and solid brass burr holder translate to a longer lifespan as they stay sharper for longer with the added benefit of keeping the coffee at cooler temperatures by reducing the amount of heat transferred from the burrs to coffee grounds. Stepless Adjustment - Stepless adjustment allows the user to adjust the grind with the simple moving of a dial. Finer or coarser, this allows you to easily fine tune your grind and experiment to perfect your extraction to your exact specifications. 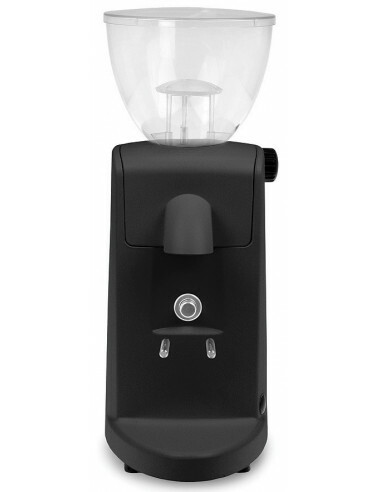 Doserless - Doserless grinders dispense coffee directly into your portafilter. This eliminates the amount of space the coffee grounds need to travel maximizing freshness and taste. In addition, doserless grinders are known to decrease the amount of excess grinds after use. 250g Hopper - Hopper made from special hard-wearing plastic. Transparent, so it would be easy to look at the amount of coffee inside. And with a fitted cover. Quiet - The i-mini is as quiet as it gets for a grinder of this quality. Using a powerful 250 watt/230 volt motor, you won't have to worry about waking the entire house up when using this beauty. Heavy-Duty Aluminum Casing - The i-mini is essentially a commercial grinder shrunken down in size for your kitchen. And if Ascaso didn’t add enough components to make it quiet, the outer aluminum casing will take care of any unwanted noise during operation. Four Magnificent Colors - The i-mini has four colors to choose from, (white, black, red, and polished) so it wouldn't be difficult for you to pick what suits best on your countertop. 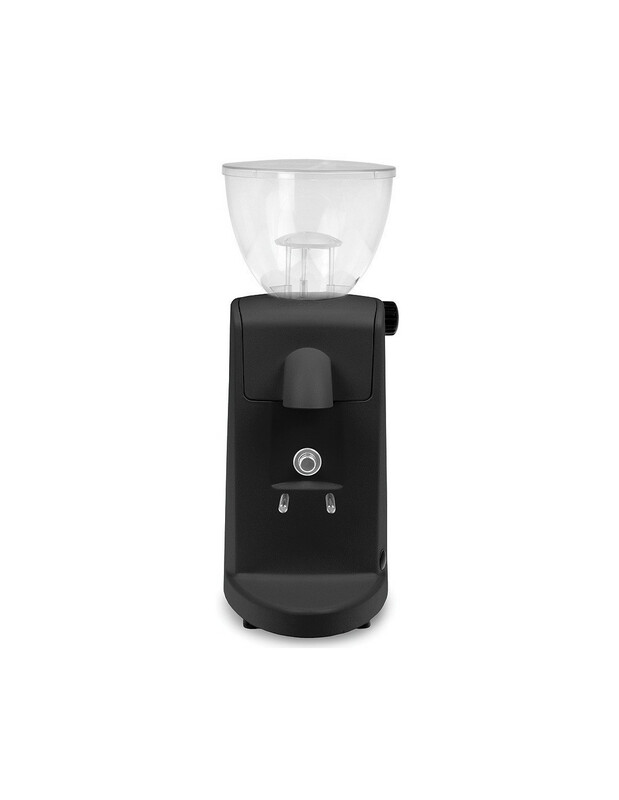 Affordable - This grinder can't be beat given the many features and settings it contains. It's an incredibly affordable grinder that sacrifices zero quality. J. Ascaso founded a company that initially manufactured parts for coffee machines. It did not take long for his company to branch out and start making its own espresso machines. Today, all their machines are handcrafted by their skilled workers. To further ensure the quality of their products, they use a quality control system that consists of 25 points of inspection. They don’t just test a random sample from their production line, they test all of the machines they produce. They also run a lab that runs at full capacity all the time, conducting life testing for their products, to see how long a machine can last. The Ascaso is now trusted all over the world and has become synonymous with high-quality coffee machines and grinders. While they have a presence in over 80 countries, Ascaso still designs and manufactures its products in Barcelona. This ensures the consistency of the quality of the products they offer. The Ascaso factory where all their espresso machines are made is ISO 9001 certified.